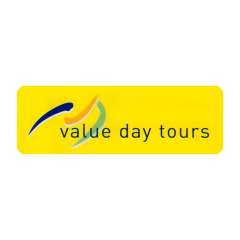 Cairns Tours abide by the motto “Our People make the difference”. From their accommodating Driver/Guides and dynamic Marketing personalities working on the front line of our company to the friendly Reservations staff, Operations team and dedicated Administrative people working behind the scenes, it is their people who define the standards of quality and consistency. Cairns Tours sets itself apart from our competitors with a huge range of superior vehicles and exceptional customer and client service. The fleet of 56 modern, luxury vehicles range from 20-seat Toyota Coasters to 53-seater touring coaches, as well as a specialised wheelchair-equipped vehicle. The vehicles are designed to ensure maximum comfort and safety, with features including large tinted windscreens and panoramic side windows to enable passengers exceptional viewing, air-conditioning, seat belts and reclining seats in every vehicle configured 44 seats and over. Selected vehicles are equipped with TV/DVD and in some, toilet facilities. From their Cairns base, they conduct extensive charter services throughout Tropical North Queensland to Cape Tribulation, the Tablelands, outback mining towns, and south along the East Coast. The experienced charter department can assist with all transport requirements from itinerary planning, airport and dinner transfers, special interest groups, series groups, extended touring and Conferences & Incentives. The FIT day touring program is one of the most extensive in the region, incorporating Kuranda, Cape Tribulation and the Atherton Tablelands. There are touring options for every traveller, from the budget conscious to clients who want every detail taken care of.